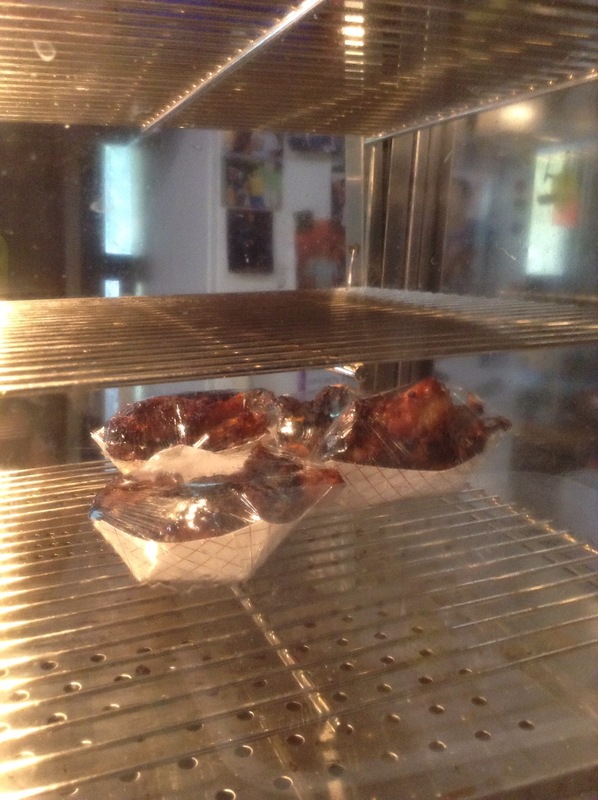 Last week as I took my children to eat dinner, I noticed a very sad sight. Across the way from where we ate, I noticed a woman dressed in a bright teal muumuu sleeping on the sidewalk. She had her shopping cart beside her and lay on the hard cement with nothing else. It used to be a rare sight to see right in the community where I live, but not anymore. 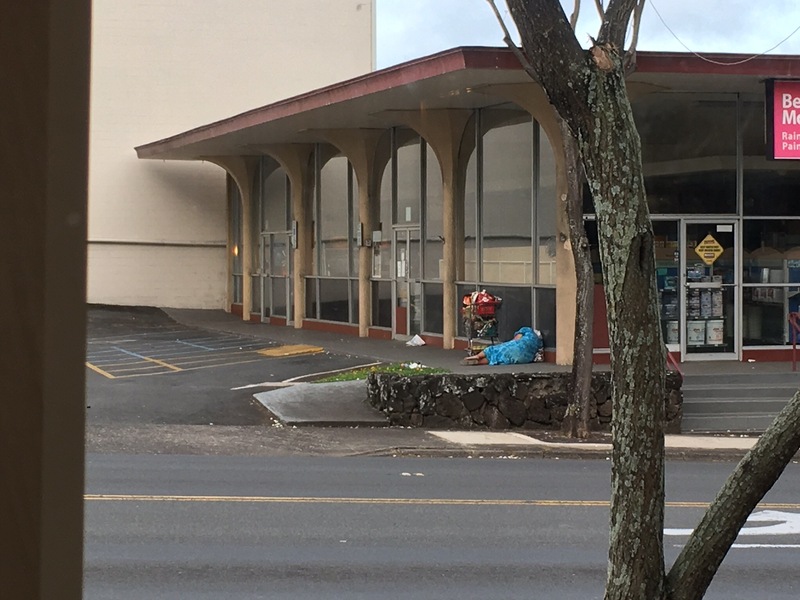 The news today was that Hawaii has the highest per capita homeless rate in the US. It’s not a proud distinction to have. The homeless have also returned to Waikiki after the lifeguards leave and have been using the beaches as their toilets or sleeping in lifeguard towers. With more homeless, we’ve had our share of thefts from those living in the nearby bushes too. The edge our fields are sometimes trashed up from vagrants too. The once empty brushes have become home to many people. Thanks to the ACLU, our communities can’t get people off the street since they overturned vagrancy laws and help enable homelessness. Not only is homelessness increasing on the suburban areas but it’s spreading into the rural communities. Without jobs in rural areas, the combination of homelessness is compounded by substance abuse also. Those two issues lead to crimes and a vicious cycle that you won’t hear much of in the media. Paradise to some has become a living hell for others. Having worked on the North Shore areas for over 40 years, my dad has seen many folks deal with the cycle of drugs. Without any education or support to pursue goals the further oneself, many young people get caught up in crime, drug abuse, and eventually jail. Some don’t make it to jail but live in a vicious cycle of poverty. My dad and brother have taken many folks under their wings to give them an opportunity to learn how to work and stay working. Despite going to public school, some people can barely read or write or do simple math. If one does not have the basic skills, how can they hold a job to earn a living? 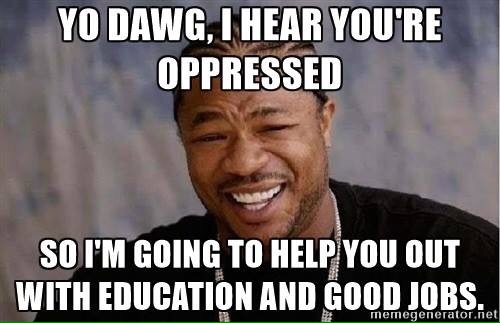 They simply can’t without being taught. Being outside and using one’s hands to plant something that will produce food is one of the oldest occupations that too few know how to do. However, for those who aren’t skilled at higher level work, this is a start to obtaining something to live on. Many other farms help develop these basic skills to give a starting point for a better life. Life on the farm also teaches work ethic, dedication, and perseverance. It’s something that many of us take for granted. When a parent doesn’t teach this to their kids, these children grow up to be poorly prepared to work. The latest move with environmentalism is to take away people’s livelihoods without good reason. Hawaii is not in a place to be losing opportunities for their people. We can’t afford to be fighting while so many lives are being shattered by drugs and alcohol. We need opportunities for our keiki and a goal to work collaboratively. If we want a future, we have to build that future. Building a path to go back in time isn’t going to create opportunities to advance people. Living in the past isn’t going to send your children to college to give better careers. It’s good to remember how things were done before but trying to survive that way isn’t realistic. You’ve got to make it first then you’ll be able to live in the past. Just look at the small newbie farmers and how they amassed a fortune to now live simply. The local folks don’t have that luxury. In some ways, homelessness is a return to our past where we started off as nomadic people. When food becomes secure, that’s when we establish ourselves. History always repeats itself and it doesn’t mean we stay back in the past. People need livelihoods in order to have a roof over their head and food in their stomachs. The homeless are like modern day nomads who are in search of food and shelter on a daily basis. Drugs and alcohol are the toxic chemicals that’s secretly poisoning families and the future of our keiki. 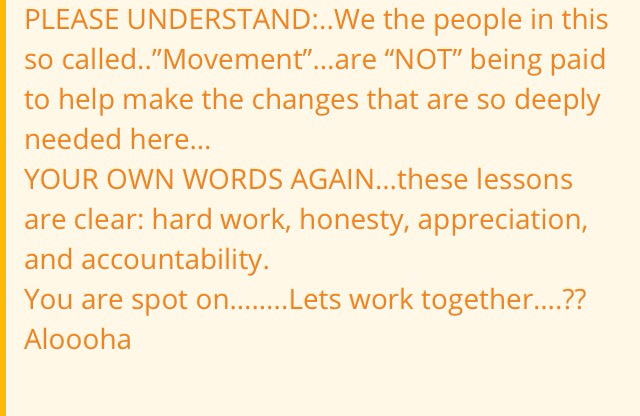 Pointing fingers at the wrong problems only prevents us from ever doing what’s pono, which is to malama the people. My real job that supports my family is working with senior citizens to rehabilitate them after illness or injury. You could say that I’m a therapy shill because I do work in the rehabilitation industry. I’ve worked with seniors and adults with disabilities for the last 20 years already as a care companion, activity assistant and director, and as a learning coordinator at an assisted living. I really love my work and seeing people get better and return to their prior level of function. The best thing about living in a modest size community is that I get to see my patients thriving after they recover. In my training as an occupational therapist, we are taught to look at the occupations, or the everyday activities, that we do in our daily lives. From the simple act of getting dressed to preparing a meal, these activities are essential to our lives. Once our basic activities of daily living are fulfilled, we are able to pursue other things like leisure activities that help bring meaning into our lives. A balance of these activities help put our lives in a state of flow, where we are functioning well. In this day and age, people long for a sense of belonging and want to do something meaningful. As many people are living much longer, more people are facing age related declines where they will eventually need basic self care help. It’s a fact of life when people start aging well into their 90’s. Having such a high cost of living in Hawaii has made it hard for families to care for their elders at home and many need long term care. Many of the folks I know are still sharp in their minds but can’t walk too well. They long to talk to others and love kindling friendships with others. Many people forget that just because someone is in a wheelchair, it doesn’t change their desires as humans. They still want to be engaged and fulfilled as an individual. In a care facility, their basic care needs are all met. After it’s done, there is activities that they can participate in, which many enjoy. One of my residents had stopped me and told me that she wanted to do something to help out. Being retired for nearly 30 years means lots of time for volunteering. No matter what age they are, the desire to help others is still motivating. I pondered it for sometime to think about what could be done. It struck me a few months ago of a perfect “job” that would fit the bill. Everyday, the Pohai Nani Care Center gets lots of newspapers. When you’re 90, you have no desire to use an iPad to read it. They want the real paper. At the end of the day, the papers are recycled. That’s the end of the paper. Seeing the piles of paper made me think that unfolding the paper out and rolling it up would be a great job for many of the residents. They would be recycling these papers to be used to help us pack our papayas into the cases. We had just recently lost my brother’s partner’s father who faithfully used to roll out papers for us for years and had to add that task to the list. 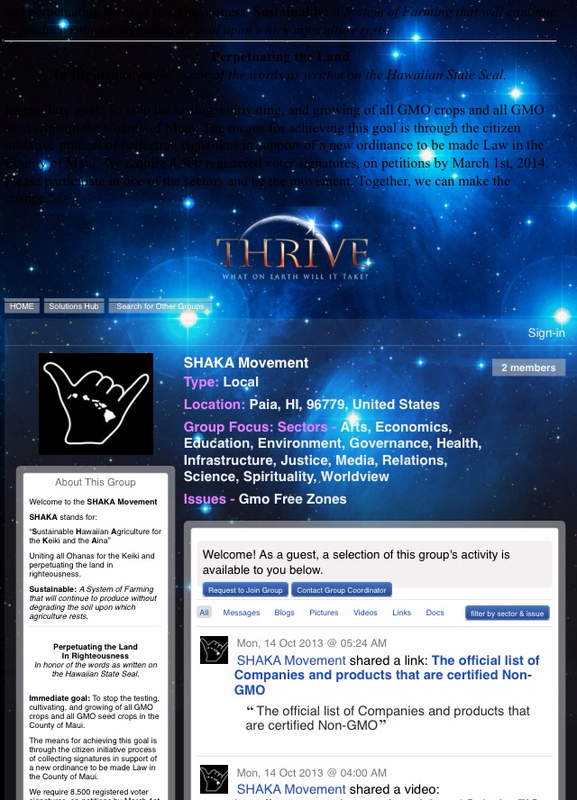 I spoke to the activity director, a long time friend, and a meaningful activity was born. At first we started with 2 residents helping with the paper recycling project a month ago. As they were proudly talking about how they were helping our farm, other residents became more interested in it. It is a big social event now for our residents to do this. There is now about 5 regular residents who get together to do this several times a week. As I think about this, it’s really an example of community. A farm relies on the community that supports it. The farmer works hard to produce a product that is useful for people. My dad and brother are busy producing papayas for the people here in Hawaii. Not all people can farm and rely on those able bodied folks to feed them. Many elderly folks can’t be farming but they indeed can help the farmer in many ways. The simple act of unfolding and rolling these newspapers to help us is a humble act that our farm is grateful for. This meaningful activity has given them a huge sense of purpose and fulfills their desire to contribute to helping others. Just because their hands may be old, it doesn’t mean that it’s not useful. So thank you to the staff and residents of Pohai Nani for supporting our farm get papayas to so many others! Longevity runs in our genes and a few weeks ago, our family celebrated the 100th birthday of a great uncle. 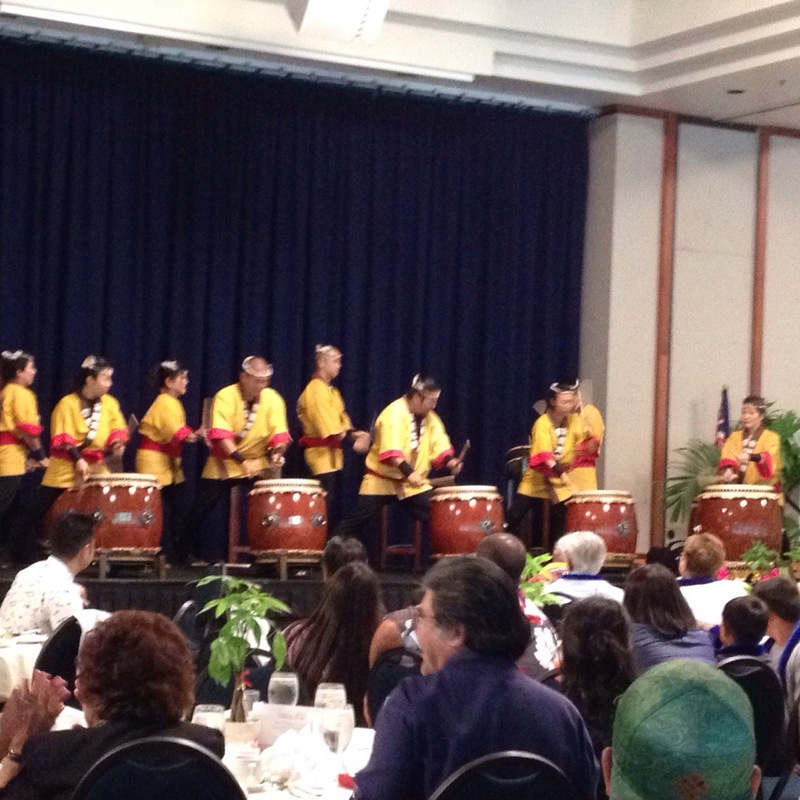 As part of his birthday celebration, we were treated to an Okinawan taiko performance. It’s really thrilling and mesmerizing to hear the rhythmic pounding of the drums. There’s a lot of choreography, planning, and practice involved in a single piece. Each drummer has his or her own certain drum or instrument to play at a certain time. Everyone has a role to play at a certain time. When it’s all coordinated, the piece comes together to make a beautiful performance. As I watched each piece being played, I couldn’t help but think about how this is a simple metaphor of music and farming. Very few people have a special talent and dedication to play for the masses but yet everyone enjoys having music in their lives on a daily basis. It’s an essential part of what brings us happiness. Like music, every person has a role and responsibility to play at various phases in their lives. We can choose what instrument we want to play as part of this ensemble. Some don’t even know how to play music at all but will listen to it. The ones who want to make music take on a lifetime dedication. They have a strong inner drive to learn that instrument well individually to develop a skill. A single musician can play a few songs, but people really enjoy a variety of pieces at various times of their lives. A singer can only sing without instruments for sometime before audiences get tired of it. Eventually, the individuals desire to come together with mutual respect and cooperation in learning how to make even a richer sound. Lots of practicing is needed as an ensemble to develop perfection for a formal presentation for your audiences. The styles and sounds of music are also ever changing, just like farming. Nothing is static as there are many different ways of playing instruments and even singing. In Hawaii, we have traditional sounds of chanting to falsetto or even modern styles including a mixture of all the above. With the introduction of the Portuguese came the ukulele that changed the songs we hear to this day. We treasure the old sounds as well as the new sounds. The technologies around farming isn’t much different either where the musicians of the earth can select which instrument they want and use their expertise to compose their masterpieces with. There’s no one single way the music can be made. The farmers are all the performers in these respective bands. Each has their own skill and role to play. If each member doesn’t take the time to practice or develop the right skills or some only focus on pointing fingers at how bad certain members are, how can that piece ever become mesmerizing and beautiful? It just can’t if there is no desire to work together to create an array of melodies for their eager audiences. The leaders of the ensemble really have the hard job of maintaining its members and keeping people engaged and wanting to be a part of the band. The members themselves must also support each other to stay focused. As members age, they must look to the youth to develop a skill and spark a fire within them to pursue being a part of the band. The band is only as strong and as sustainable as there is a desire to be a part of it. Without new members, the ensemble numbers will dwindle and end. The performers are supported by the conductors, the farm bureaus and our leaders, who help to launch and sustain the careers of their members. Not only does the leadership have its musical recruiters using the strengths of its members, but there are also conductors who also provide the backbone for the musical direction. That is our mayor and senators who help to provide strong leadership to guide the band as well as the public in supporting the longevity of the music. Without them setting the example for the public, the band’s music can never be heard or enjoyed. If they don’t support the music, then neither will the audiences as they set the example to others. A concert can never be heard by the masses without a venue to perform in. That takes many people to set it up and organize it. There are heavy machinery folks, agricultural suppliers, construction materials, auto shops for vehicle maintenance, accountants and health insurers, marketing people and the stores to sell their products. Many hands are working together to share our music to the world. If the audience would like to partake in these performances everyone is welcomed. Majority of their supporters are the ones who enjoy what’s being provided to them and are a gracious audience. They can’t sit at a performance and tell the musicians what to play and how to play their melodies because they realize that they aren’t skilled enough to do the same. It would be a terribly disruptive concert for those who appreciate the musicians efforts because they don’t like to pieces that might be new and unfamiliar to them. Some audience members may be inspired to start their own band and play their own music if they choose at their time and place. It’s a music that can be played but not in the same hall at the same time. 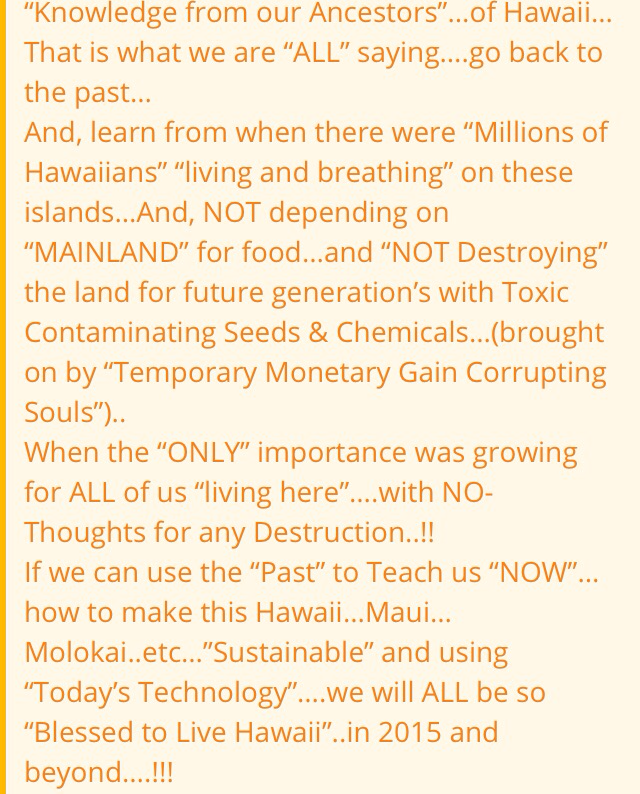 We have the potential in Hawaii to become a beautiful ensemble if we nurture it. We have people who are doing the hard work of developing that great masterpiece. A band is only as good as its strength in collaborating and taking responsibility for oneself. It takes many to put on a concert for the masses to enjoy by a very few skilled individuals. If we don’t continually support those skilled folks, we stand to lose an important piece of what makes Hawaii beautiful and unique. Hawaii has its own unique music and sounds that many of us have learned to enjoy and grew up with. There are people who haven’t learned to appreciate that music and adamantly refuse to learn the melodies we love and cherish. Some farmers are using new instruments and trying out new songs that are reaching the masses faster. Some farmers prefer the old ways to make their concerts. Their audiences have choices in the concert they want to watch. Right now in Hawaii and in our communities, there are audience members who have taken on a very misguided role in the making of music. They’ve decided to go on the Internet and spread disparaging remarks and share false information against certain musicians to get more crowds for themselves. They’ve taken to not making music but heckling those who are trying to play their songs. Some politicians have even sided with these ungrateful people who partake in the music but still criticize those playing it. These people don’t encourage others even try to learn how to play the songs of our farmers or even desire to listen to those cherished ways. Don’t let that few hecklers and those politicians in the audience forever change the music of our islands. Leaders don’t shut minds down to experiences or use fear as an instrument to lead from. They take charge of opening minds and inspiring others to think outside the box and create their own music to share with the world and share that passion to do the same. I want to hear all the music in harmony. I want to hear all kinds of music and support all those talented musicians of the land. Will you join me in supporting the musicians of Hawaii, the farmers? 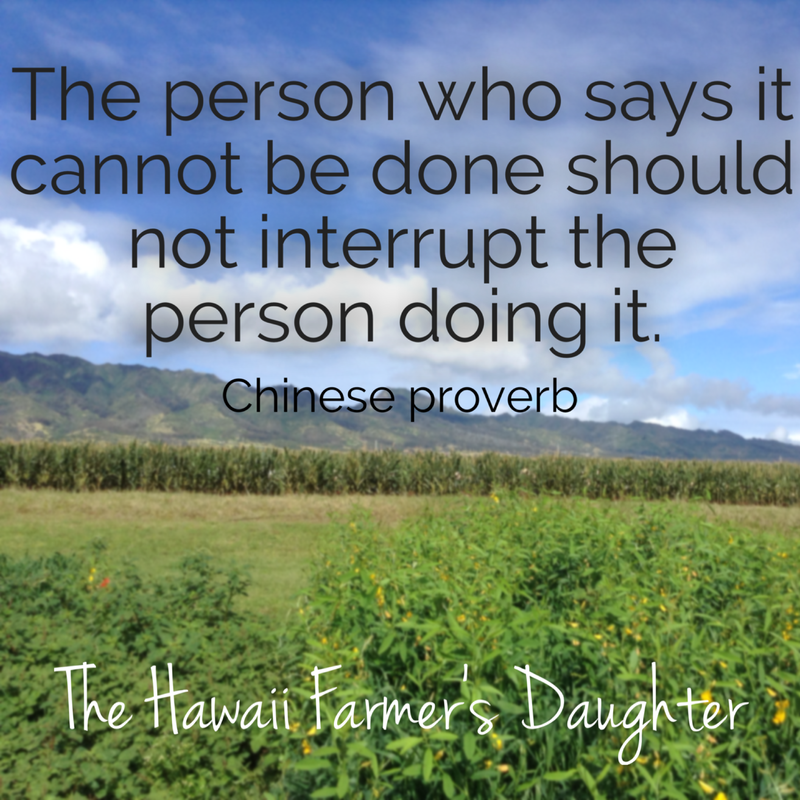 Let the music play in harmony and collaborate to showcase that beauty of Hawaii farms. I want my children and their children to know those melodies of the Hawaii I love. If we don’t help support and nurture these ways, we stand to live in silence forever. 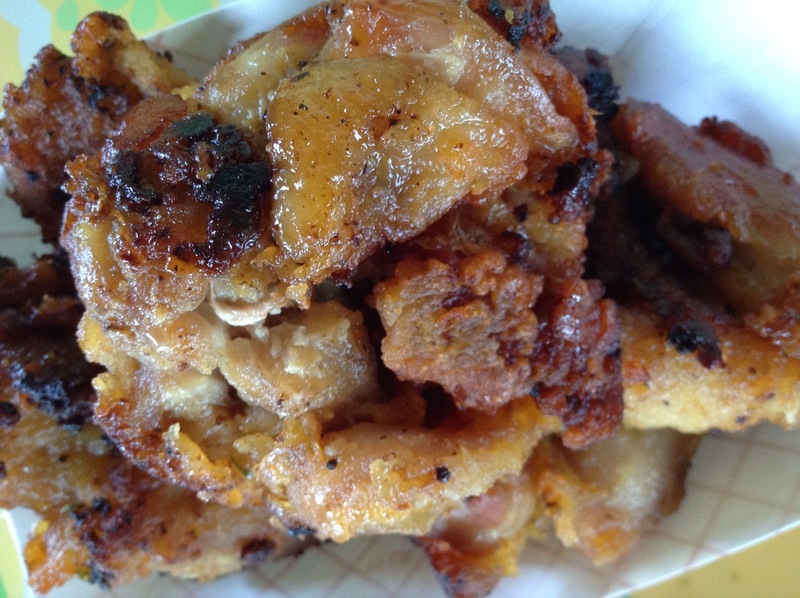 I received some really lovely comments again from my last blog about not finding malasadas at Whole Foods. Once again, the activists tend to prove my points time and time again that these people do not understand local culture in Hawaii. 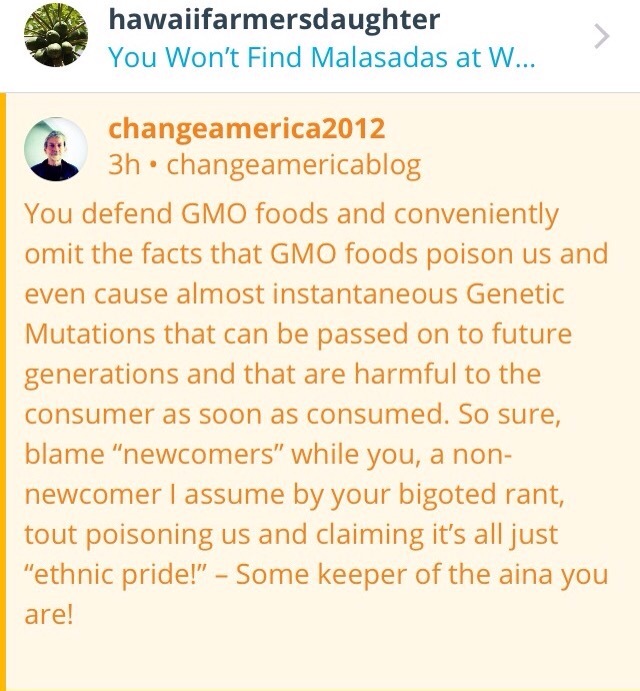 The first comment calls my post a “bigoted rant.” Of course someone blogging to “changeamerica2012” surely knows the history of Hawaii and why we have such a unique and diverse culture. I bet he’s eaten all of those foods I posted on it too to learn about this “ethnic pride.” Granted, I posted food from many cultures that he can’t quite figure out exactly what ethnicity I’m referring to. 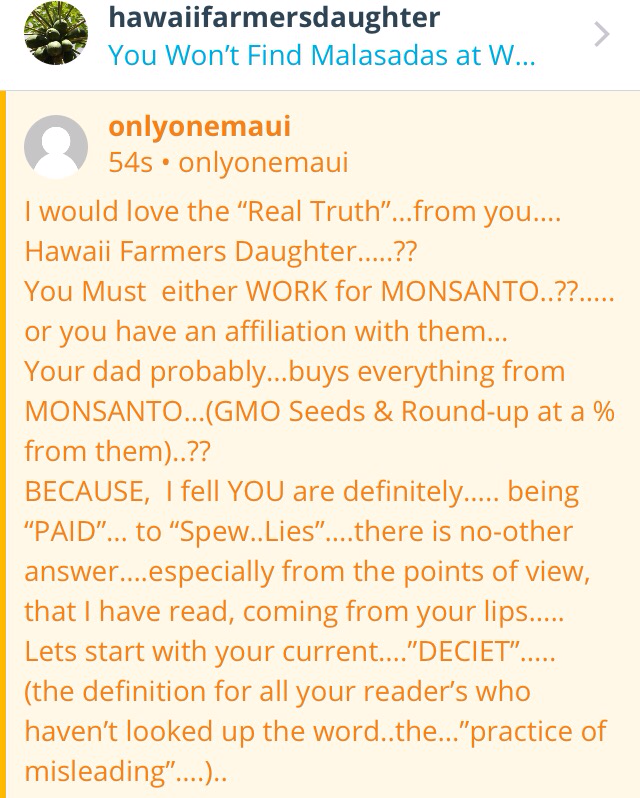 The second comment is long but pretty funny in that I’m a liar and work for Monsanto but then I’m right on point. Heck, if I worked for any of the seed companies I would have to abide by their social media policies and probably can’t be calling this stuff out. The long rant goes on and ends with we should work together. First, I’m a liar and deceitful. Then my grandparents were suffering plantation slaves, and now I’m right about culture and we should work together. Huh?! Of course this person admits that he or she only knows plantation life from what they researched. They never lived it and appears to have never talked to anyone who did either. And who is not wanting to work together when these people are seeking bans of everything that created this beloved local culture? I’ve known it for sometime about the true origins of the anti-GMO folks are not from here. The activists themselves denied it but the facts are slowly emerging about these groups after the moratorium on GMO growing on Maui was voted in. 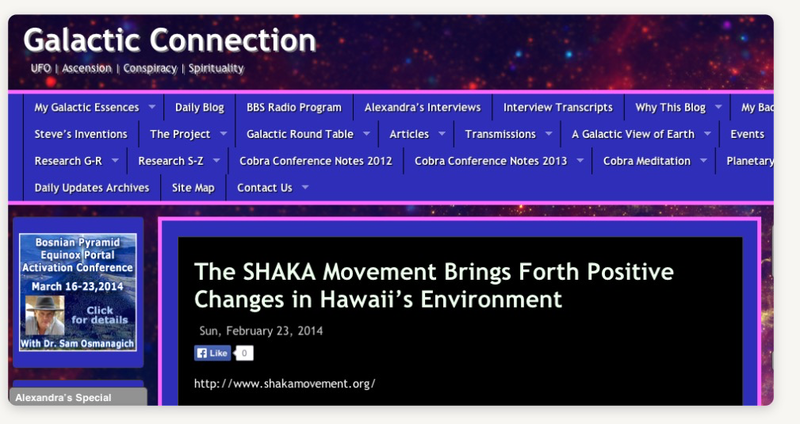 One of the first places SHAKA showed up at was a website called the Galactic Connection. It touts aliens, ascension, and other conspiracy theory type stuff. The site of course sells stuff too! 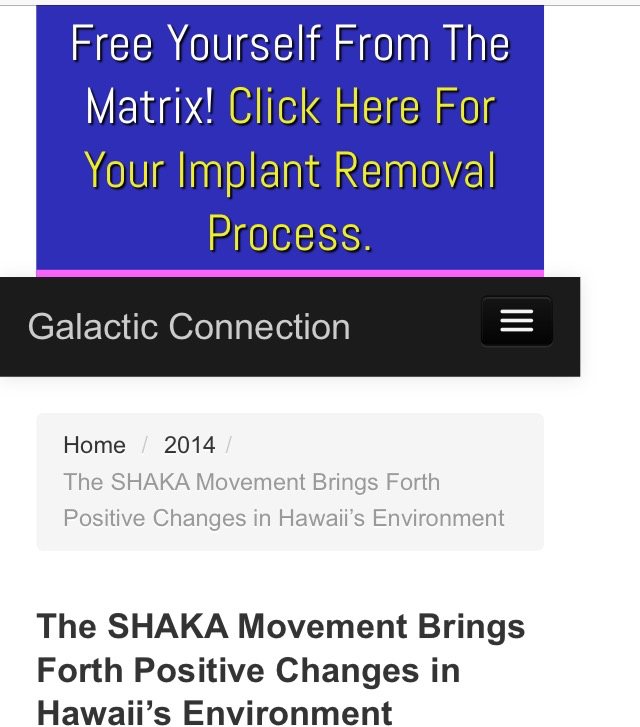 For just $144, you can have your Matrix Implant removed. There’s even a essential oil pack for $99 to prevent unwanted implantation. What a bargain! It’s not surprising that when new people with their own ideas come to town, they don’t care about fitting it. They want everyone else to change to fit them. 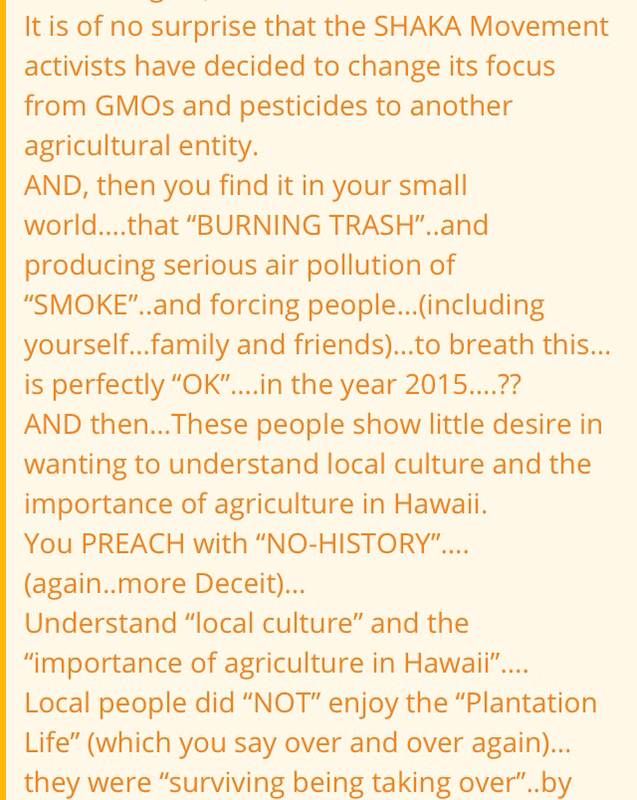 That’s clearly what we are seeing with the latest attacks against the Hawaii Commercial and Sugar Company on Maui. Some Hawaii folks love our cane sugar, which is non-GMO, but then want to shutter it. It must mean they want sugar from GMO sugar beets or some high fructose GMO corn syrup. The same kind of fear mongering is happening right on cue. People are claiming that the cane burning is carcinogenic, toxic, and killing people. I’ve even seen comments claiming clusters of illnesses around Maui. Oddly enough, Pacific Business News reported that Maui county, followed by Honolulu, then Kauai, were the healthiest places in the state. How did the County’s health drastically change? The anti-GMO turned anti-sugar cane burning club don’t care for facts or provide any alternative should their wish come true. They love to use disinformation tactics and say things to divide communities and not create any opportunities for collaboration. That is what I really despise about this type of activism. It’s sad that even some local folks are joining in on all of this divisiveness. This was a comment made when it was announced that Pioneer was closing one of its Kauai locations. The things that these activist don’t realize is that people have to start somewhere. Many times, it’s in agriculture. They work and provide for their families who get educated. In turn, these are our doctors, nurses, caregivers, teachers, and other skilled professionals. Many of the ag workers further their skills and grow much of the fresh produce we find at farmers’ markets. These people really are some of the most productive and hardest working people I know and have been totally disrespected by the anti-everything know-it-all-but-really-only-talk club. When you start with nothing and is presented with an opportunity, you value it. One learns to rise up through hard work, it’s a valuable lesson that leaves a lasting legacy for all generations. Those lessons are usually passed on in every subsequent generation. When you have everything you need and never really had to earn it, it’s hard to fully appreciate it. It’s too easily taken for granted. Our freedom from farming is due to all the immigrants now and in the past who built up our state with dedication, perseverance, and a vision for the future. We should never forget that many of us are here because of those who came before us. Know and appreciate our roots so we know where we are heading in the future. I grew up on the Windward side of Oahu where there is still a country-like atmosphere. As your drive out of the town of Kaneohe, you get a sense of relaxation as you head out of the suburbs. One of my favorite nostalgic places to stop by is Waikane Store. It used to be run by an old bachan years ago and is now run by her daughter and grandson. I went to school with him and have known him for years now. It’s changed a lot over the years but it’s charm remains the same. 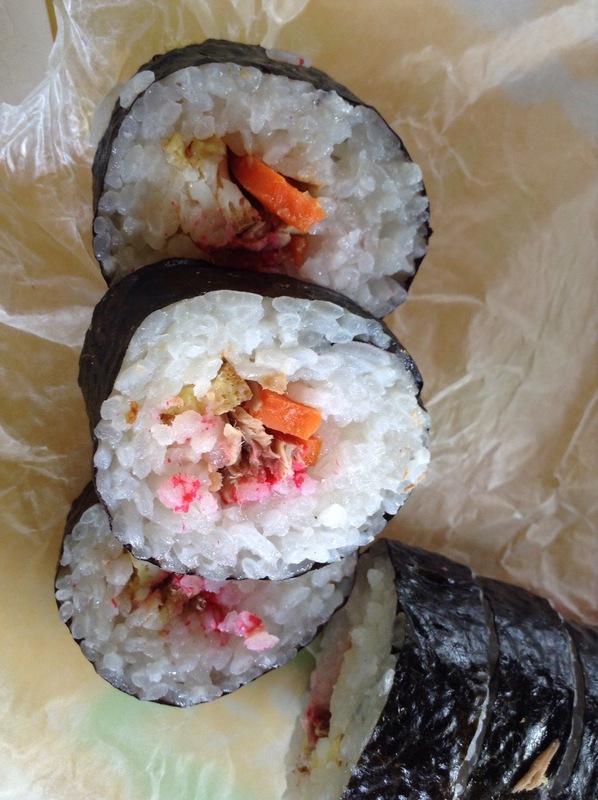 You can find lots of local favorites in there from Hawaiian Sun juices to handmade old school style maki sushi and fried chicken. 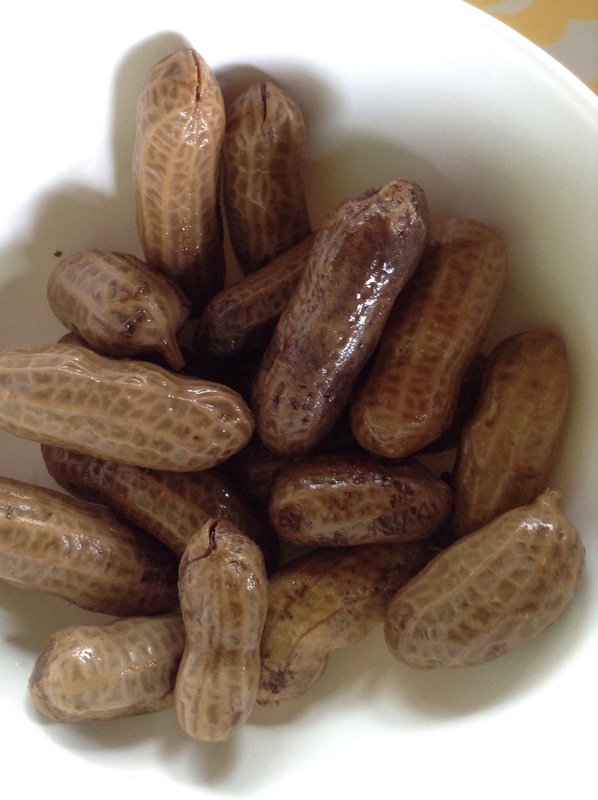 They are famous for their ono boiled peanuts too. 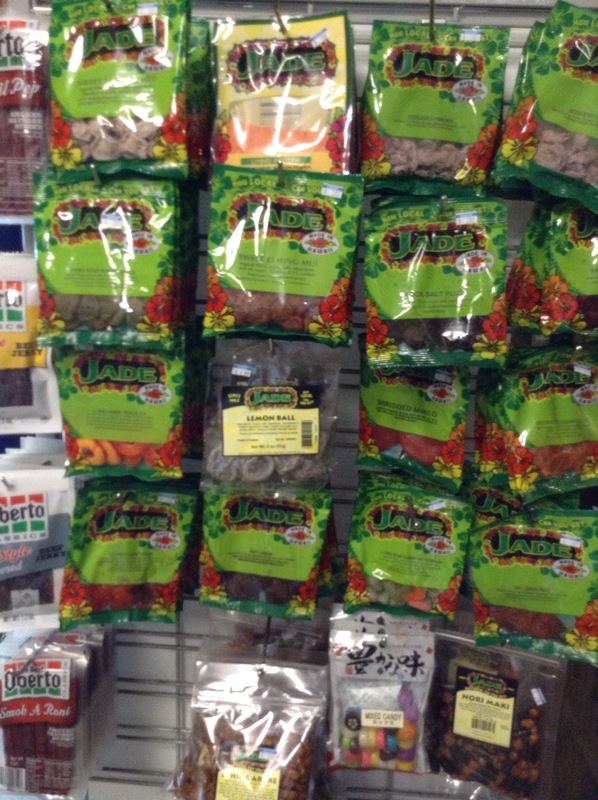 You’ll also find an assortment of crack seeds and candies. 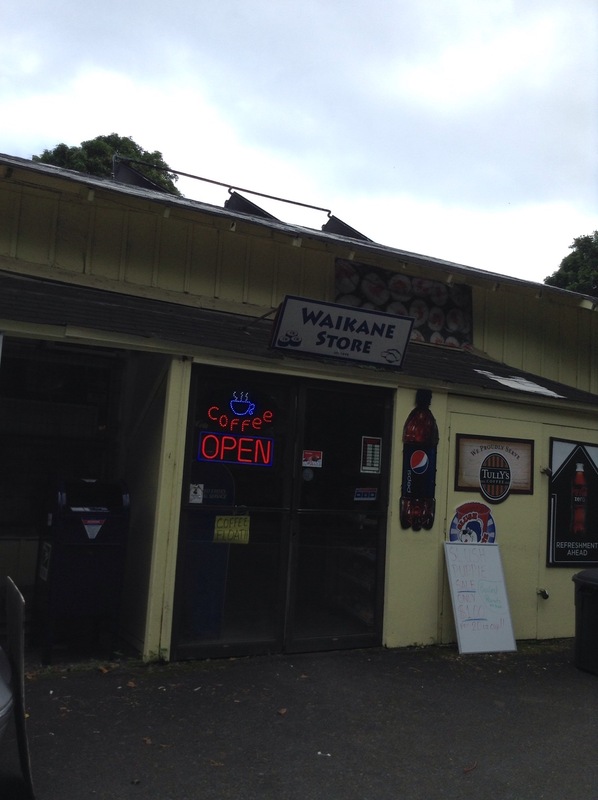 Waikane Store was started in 1898 and a central stopping place for the small rural communities in Hawaii. 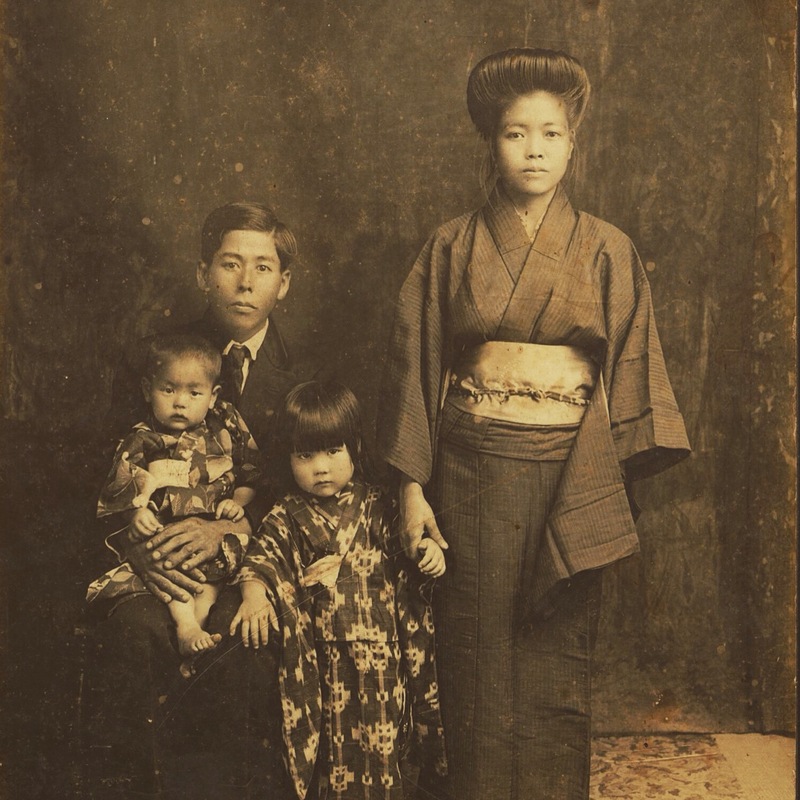 The area was once filled with farms run by Japanese immigrants. 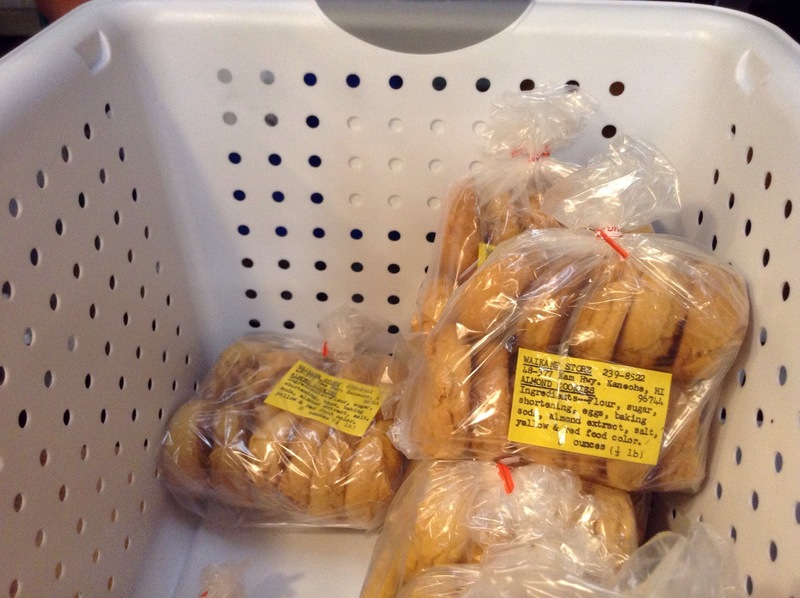 There are very few farms there now and as a result, the store’s customer base has changed. Business is tough lately with cost of goods going up, so like many other local folks, other work helps to pay the bills. 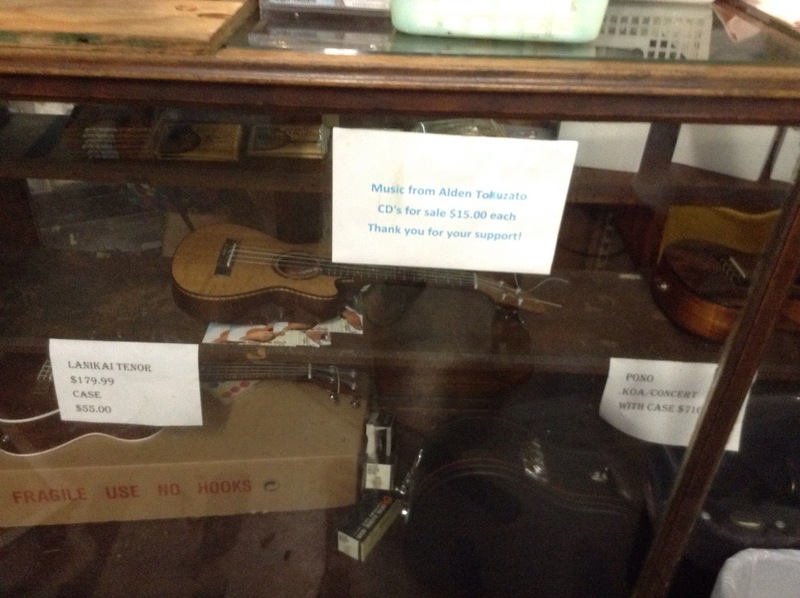 Alden is also a great musician too and the store features his ukuleles and CDs. He does play on a cruise boat too. 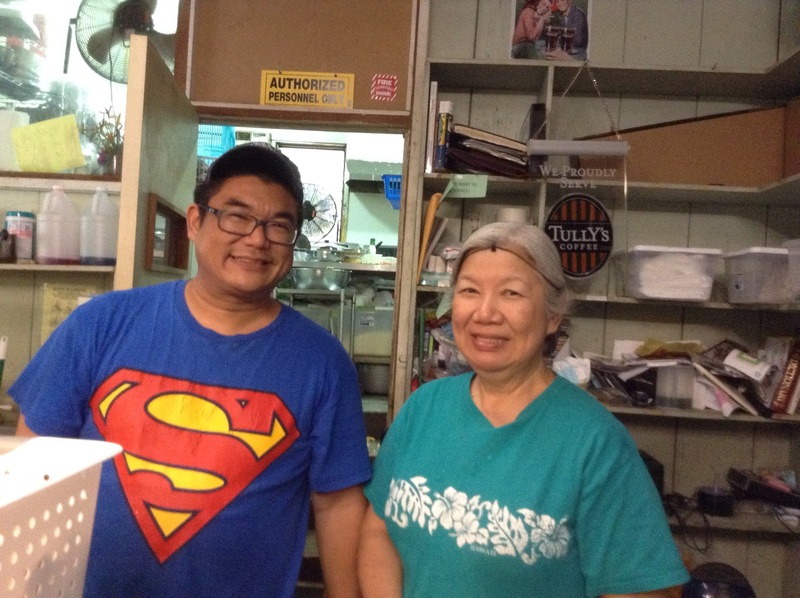 If you want to get the true feel of old Hawaii, take a stop in the country and pay a visit to my friend Alden and his mom. You’ll find him slaving away in the back most of the time, but he will eventually make it out to greet you. He might even bust out a song if he’s not busy in the kitchen. 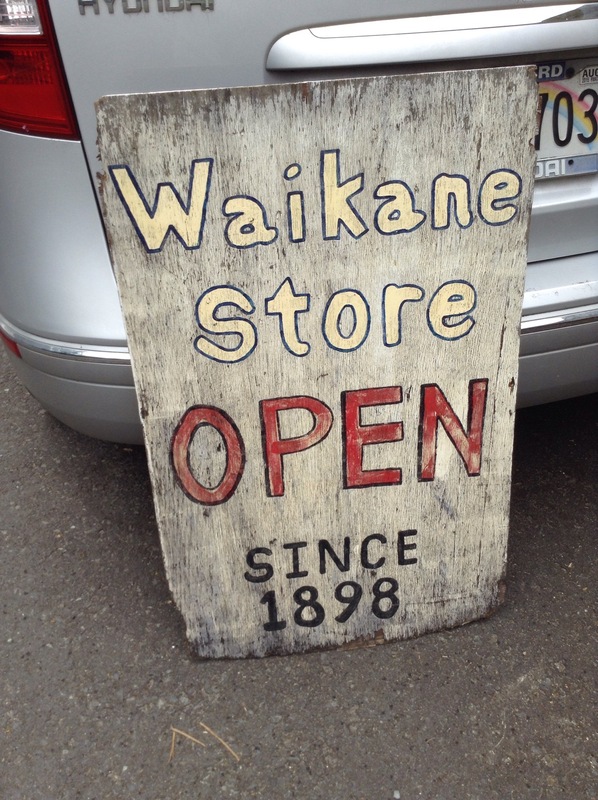 Waikane Store is one of those little treasures that remind us of old times when life was much simpler. It’s a reminder of what keeps the country country. If we don’t come out and support those who keep the country special, we can lose this piece of nostalgia forever. Keep the country country. Support those who make it the country. Memorial Day is always a somber day for me. I usually don’t get the day off since I work in health care where there are no days where caring takes a break. In my career of nearly 15 years, I’ve met a lot of WWII veterans and heard their stories. Many of these men and women have vivid memories of what happened and never forget those experiences and can recall the loss of so many of their comrades. These people were bound by a duty to fight for the freedom of others. I can’t help but get irked by the fact that the March Against Monsanto also falls on the same weekend. While we honor the soldiers who fought for our freedom and others, the anti-GMO crowd would rather protest and block others from a tool that can give them food security and prevent debility. These people are solely focused on what they eat and their own selfish “rights.” What about the rights of others to simply have food? Because we are well fed and sheltered, we have a duty to ensure that others can have that basic right. However, that thought never crosses their mind. As I watch the festivities happening this weekend, it’s clear that this is a time for respect and mutual collaboration. Our veteran’s cemeteries are all being provided with leis and flags by community groups and ceremonies are being organized to remind us of the ultimate sacrifice given by many people over the decades in the fight to preserve our freedoms. We, as a community and as a state, needs to return to those old but timeless values that applies beyond our immediate home. We are a part of the greater global community that each of us play a part in. What we support sends a message to the world since we have become the leaders. There are people doing good in the world to help others. If we aren’t going help them, shouldn’t we at least lend our support? The biotech controversy here sets a precedence worldwide that fear and misinformation is allowed to make poorly crafted legislation. Allowing people to do that creates chaos and a dysfunctional society. When people resort to just tearing the high achievers down, we get no where really fast. It’s like crabs in a bucket. No one can accomplish anything when all the time and effort is spent tearing down the ones reaching the summit. If we want to strive for the best outcomes, we need to work together. No war could have been won if people didn’t work together and freedom would have been lost. If our time is spent fighting the food fight, we can lose out on affordable and abundant food. It’s time to ask ourselves whether or not we want to eat or keep fighting. We will have nothing to eat or nourish us if we attack our farmers. If you aren’t farming, maybe you need to do things the way you want it or get out of the way!